Logs are gathered by chopping down Trees with an Axe. Chop the bottom-most log to fell the entire tree. If the axe does not have enough durability to fell the entire tree, as many logs as possible starting from the top of the tree will be chopped and the axe will break. Player placed logs can also be harvested with a Saw. Breaking a log with a Hammer will yield 1-3 sticks. Logs are the primary source of fuel for fire pits. They can either be manually placed inside the fire pit's GUI, or they can simply be tossed (Default: Q) on the top of the fire pit to be consumed. Different logs burn for different lengths ranging from 50 to 112.5 seconds, and at different temperatures. A horizontally placed log will function as a leather rack, allowing the use of a knife to scrape a soaked hide. Log piles allow for convenient, resource-free storage of logs. They are also required in the creation of charcoal and the lighting of a pit kiln. To create a log pile, sneak (Default: ⇧ Shift) and right-click while holding a log. The pile can only be placed on top of a solid block, or a full log pile. Right-clicking on a partially full log pile with a log will allow you to place logs in that pile without opening the GUI. Right-clicking on the top or side of a full log pile with a log will place a new log pile. Right-clicking on an existing log pile while not holding a log will open the log pile GUI. A log pile can store up to 16 logs in 4 stacks of 4. Log piles can have different types of logs. Note: Log piles in the world use the same graphic regardless of what type of log was used to create them. Possible to press your sneak key while holding a log and simply place a new pile on top of an old one instead of filling it. Added throwing of a log on top of the fire pit to automatically add it to the fuel stack. 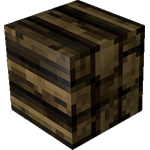 Logs can be placed vertically or horizontally just as vanilla. No longer possible to place log piles on top of non-full log piles. Changed log placement. The side of a block that you click on is where the inner part of the log is placed. 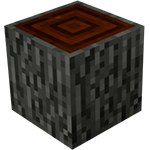 Chopping down trees uses up 1 durability per log contained in the tree. Added smashing of a log in the world using a hammer to get sticks. Log piles cannot be created on top of non-solid blocks, nor other log piles that are not completely full of logs. Added use of log piles for fuel source in pit kilns. A partially filled log pile GUI. This page was last modified on 17 July 2015, at 06:54.